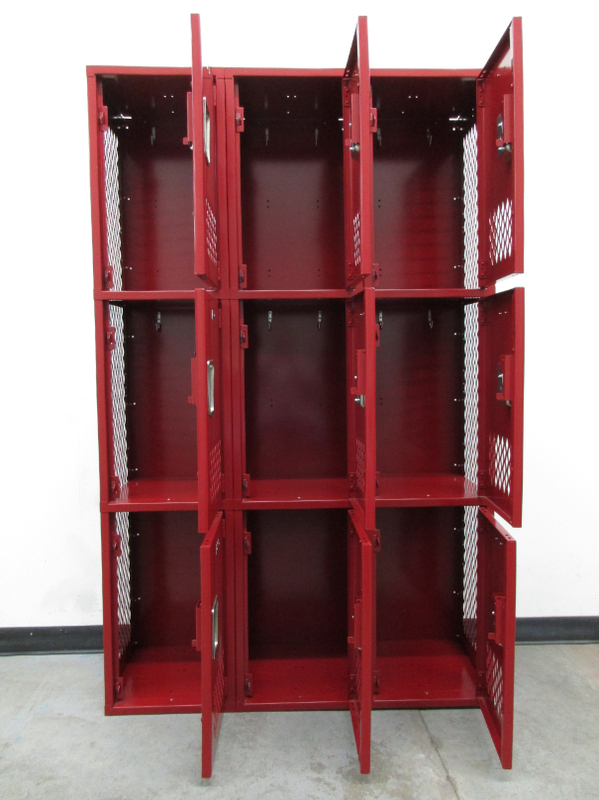 These Used Athletic Lockers for Sale are available on www.buyusedlockers.com where they have a huge selection to choose from if we need additional supplies. 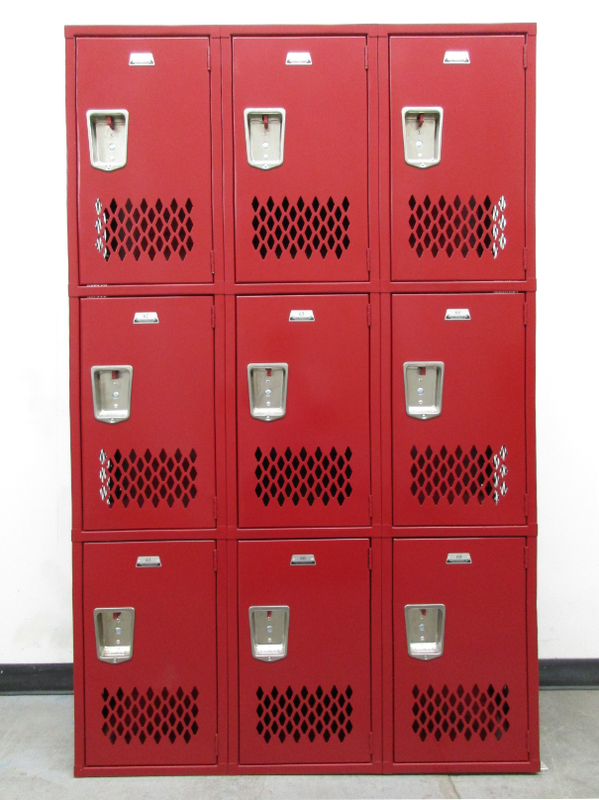 Dimensions: 15" x 15" x 72"
These brand new athletic lockers for sale have been discounted to clear up room in our warehouse. This 3 tier locker style is useful for businesses, schools, and gyms who want to reduce cost and maximize floor space by combining three compartments per column. 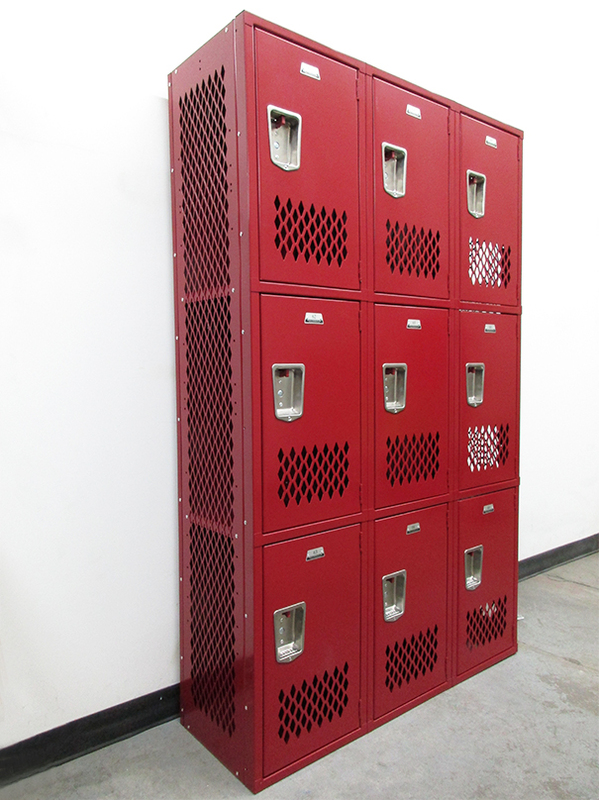 These heavy-duty athletic lockers make a perfect storage option for locker rooms with diamond perforations on sides and door fronts for ensuring plenty of air circulation. The doors operate with recessed, stainless steel handles for lift-style use and can be secured with combo or padlocks. Lockers are purchased in vertical columns and sold in sets of 3-wide (9 doors) or 4-wide (12doors).